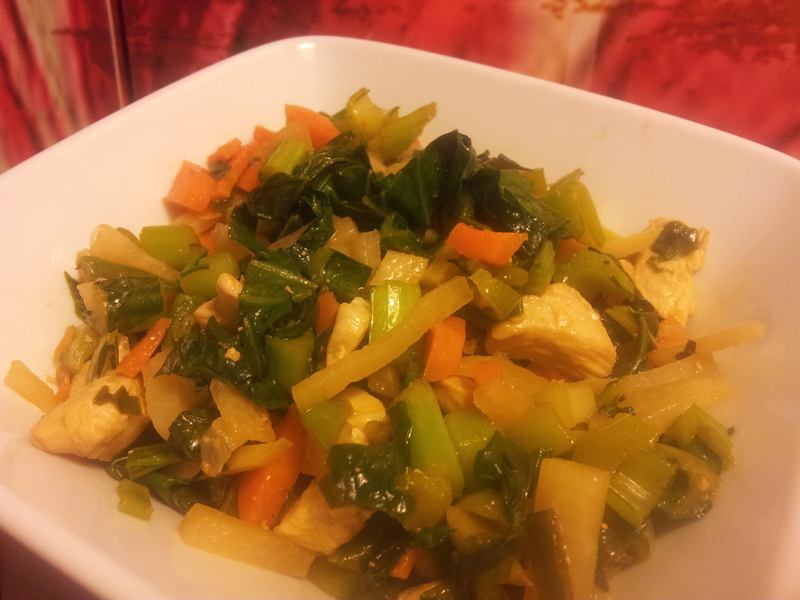 A stir fry is such an easy meal to make and this one uses ingredients which are quick to cook and full of flavour while being free of unnatural preservatives and additives. I used coconut amino sauce for the first time in this dish and it has a lovely flavour. It is a healthy alternative to soy sauce and is made from coconut nectar with only 3.6 grams of carbohydrate per 5ml serve and l probably used half of that in the dish. 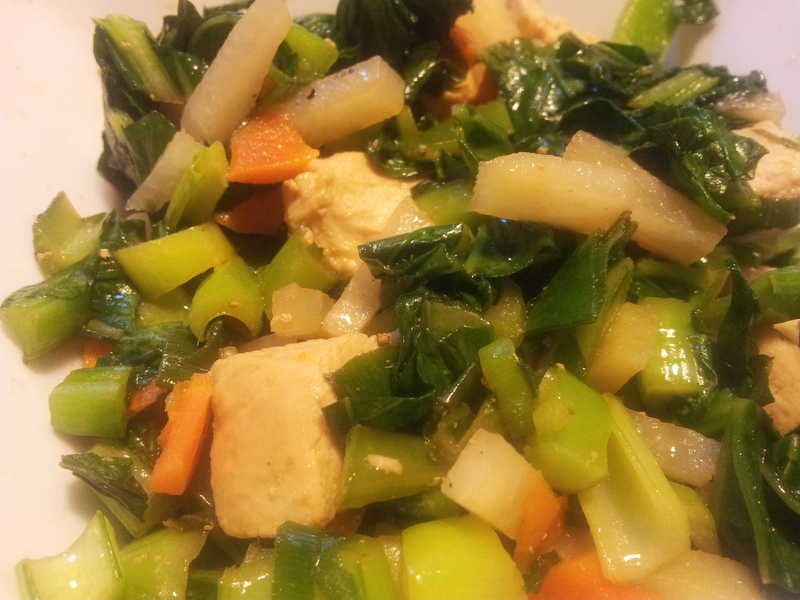 I used organic chicken fillets which l sliced into small pieces and set aside while l prepared the vegetables. 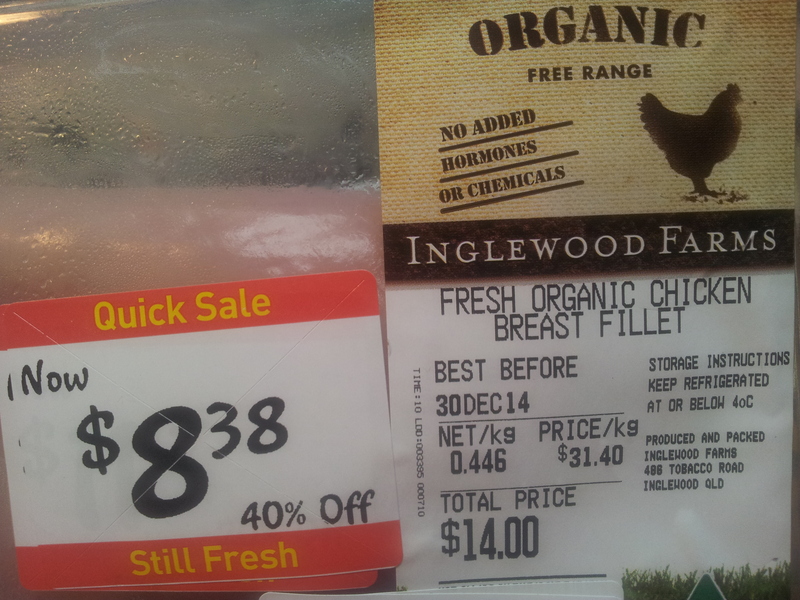 I try to buy organic when l can, but also use free range products. 3 whole bunches of choy sum finely sliced with the ends removed. The Choy Sum is really delicious with celery like crunchy ends and then more bitter tasting leaves. 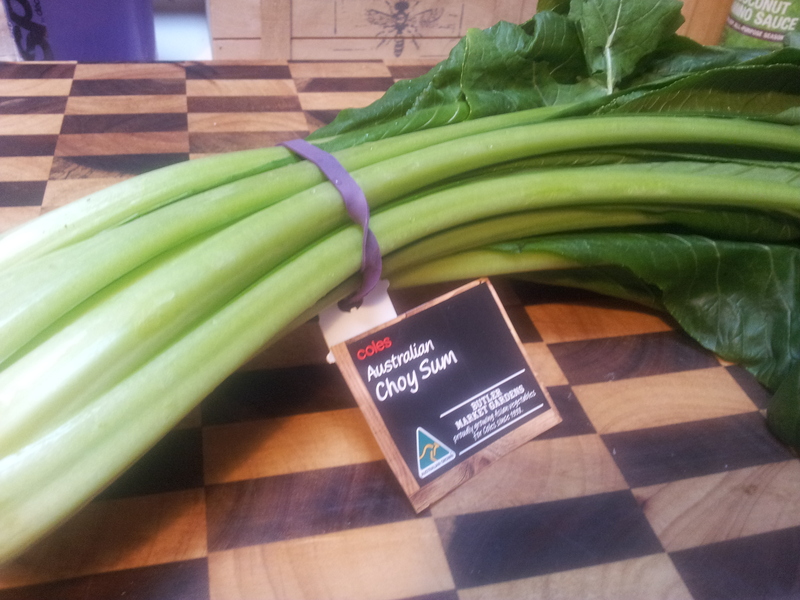 Give the Choy Sum a good wash, chop the ends off and discard before slicing. I also hadn’t used Kohlrabi before but as it is a member of the Brassica family of vegetables l thought it would go nicely in a stir fry. I eat a lot of swede and turnip and found this similar to prepare and cook with. 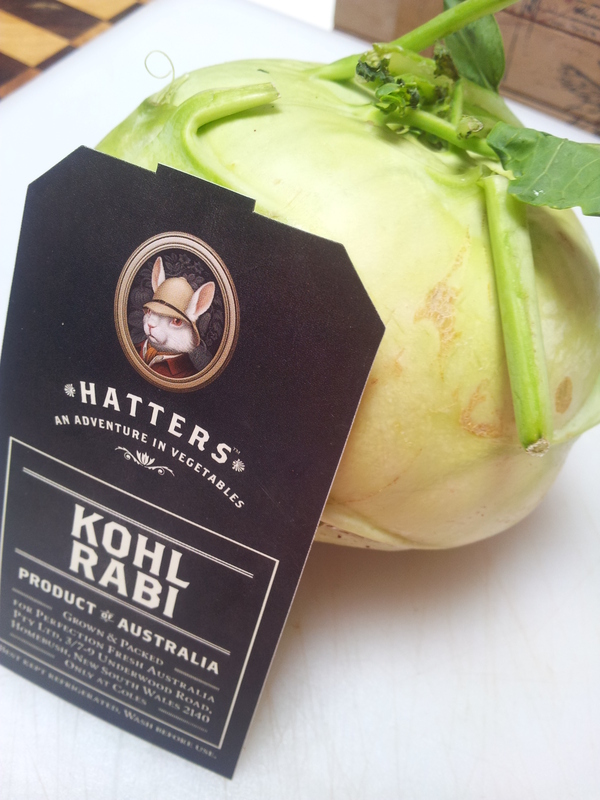 The remaining kohlrabi can be stored in the fridge to use in another meal. Pre-heat your wok on a medium heat. 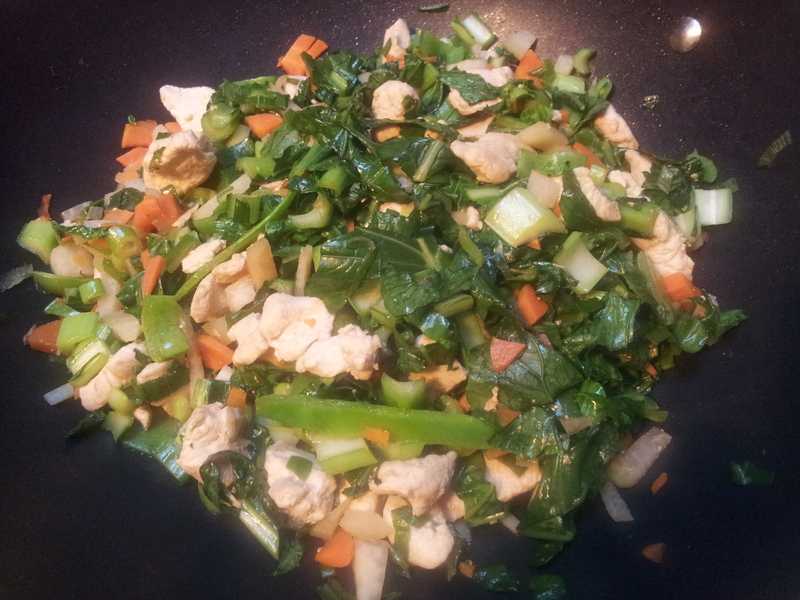 Add a suitable oil such as coconut oil, sesame oil or extra virgin olive oil and brown the chicken. 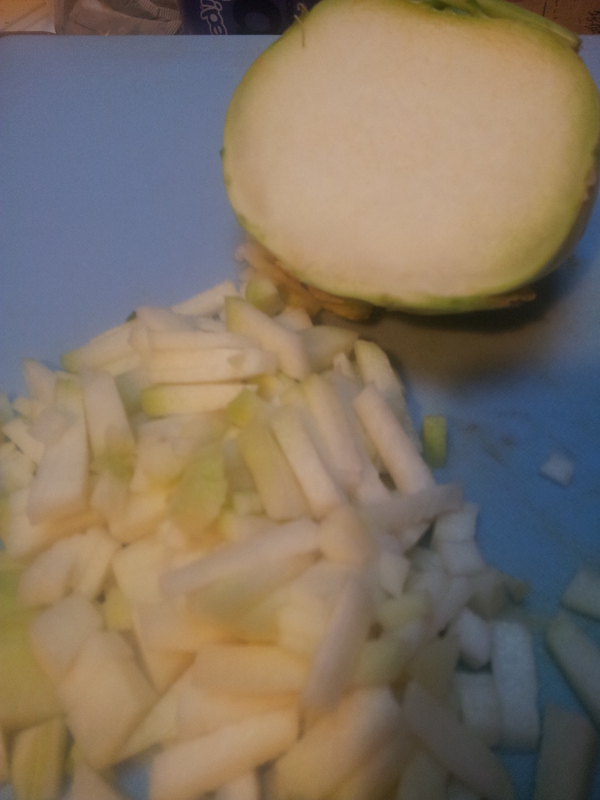 Add the kohlrabi and carrot and stir frequently until they start to soften. Add in the green veggies plus a few splashes of the Coconut Amino sauce and stock. Mix gently and cook until the greens have softened. I put the wok on the table and served it from there. Serve into bowls and add seasoning to suit. I used pink rock salt and black pepper. 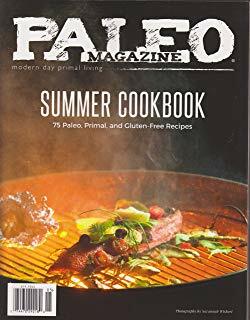 I also added one tablespoon of cold pressed oil to increase the healthy fats. A very lovely dish filled with natural flavours.